podcast (since I’m in Ontario). couldn’t resist sending you this idea. Thanks for the email Cathy. I started to do some digging to figure out what exactly Biomeridian testing was. It turns out, that’s easier said than done. Fortunately I found a few sources, including a recent article written by Dr. Harriet Hall over at the blog Science Based Medicine. From what I’ve been able to gather, Biomeridian Stress Testing, or Biomeridian treatments, or meridian treatments as they are occasionally called, is an alternative medical treatment for allergies. It involves using a form of “no touch” acupuncture to cure allergies by strengthening organs and preventing allergic reactions. Biomeridan testing seems to involve using electronic devices to measure some vaguely described form of “energy” that apparently indicates when someone is ill or not. Some of these treatments use devices designed to measure electrical currents. A complete circuit is made by having the patient hold a metal object and applying the device to another part of the body. Once the current is made the device will ding or dials will flash about and the tester can either make up some results i.e “oh my you’ve got a conductivity of 12.4 that means you need X more treatments…” or they might have some sort of standard system they use, similar to how scientologists use e-meters. So, if I understand this correctly, it’s some form of acupuncture that relies on a theory called radionics, the idea that illness and health can be detected by the energy emissions of the body. This theory was created by Dr. Albert Abrams in the early 1920’s and its been around in different forms ever since. When all tests failed to find either that the energy that was indicating the illness, or show that the devices that were supposed to cure these energies didn’t work as they are supposed to work or that they are simply measuring electrical resistance, proponents assert that there is a paranormal element that is “integral to radionics, noting that the radiations being measured are similar to those felt by a dowser” and the person operating the machine must have some paranormal powers. In addition, there are a lot of red flags when looking at this; the constant vagueness when describing the treatments, the use of words like quantum, energy and wellness – and never are those terms defined, they are simply thrown in as adjectives to make the treatment sound more sciencey. Not to mention the easy out these proponents have given themselves. If ever the treatment doesn’t work they can fall back on the claim that there’s something immaterial or even supernatural going on. That also doubles as an excuse as to why these treatments can’t be examined scientifically. Cathy also mentioned the potential dangers of such a treatment. I was able to dig up a few alarming reports related to biomeridian testing. One was about some naturopaths taking this treatment to Haiti after the earthquake to help people. Despite being well intentioned, this treatment is scientifically implausible to work and could delay or prevent necessary medical treatment. This entry was posted on July 7, 2011 at 7:29 pm	and is filed under Blogs, Ethan's Blogs. 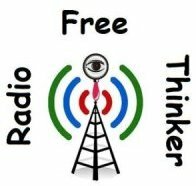 Tagged: Alternative Medicine, Biomeridian Stress Testing, Listener email, medicine, radionics, science. You can follow any responses to this entry through the RSS 2.0 feed. You can leave a response, or trackback from your own site.